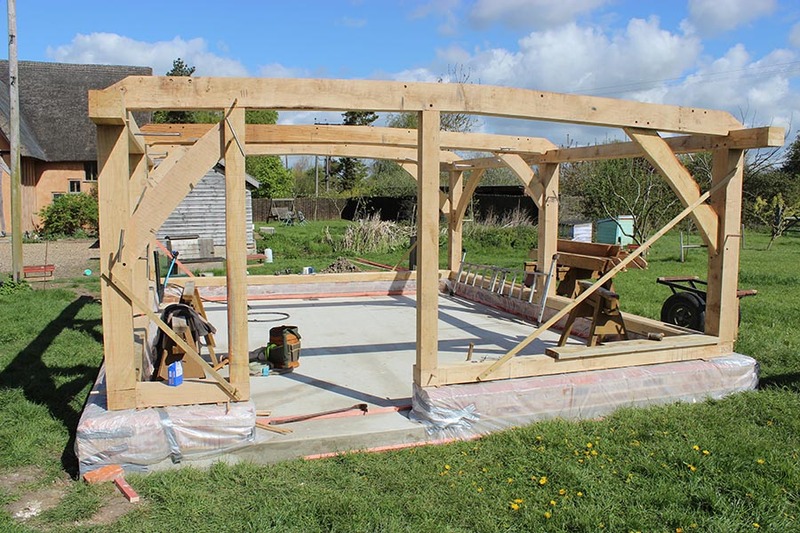 The brief for these frames was to create two identical spaces, both of which will be art studios. 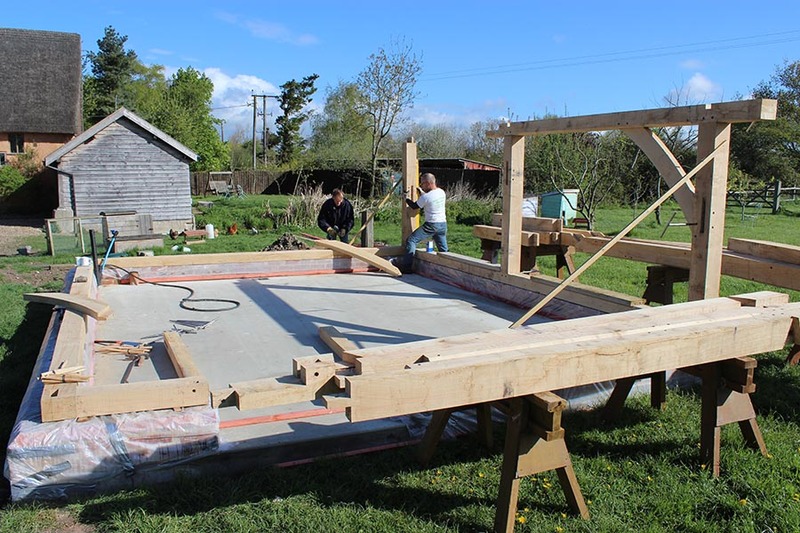 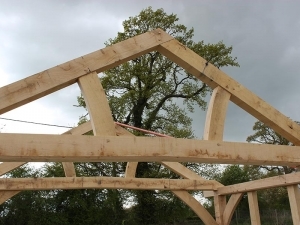 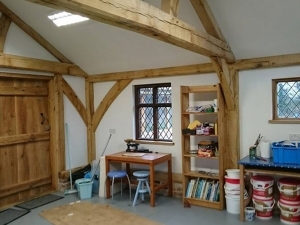 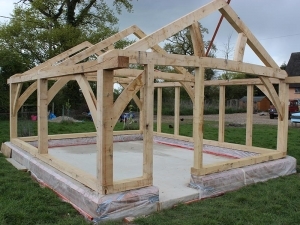 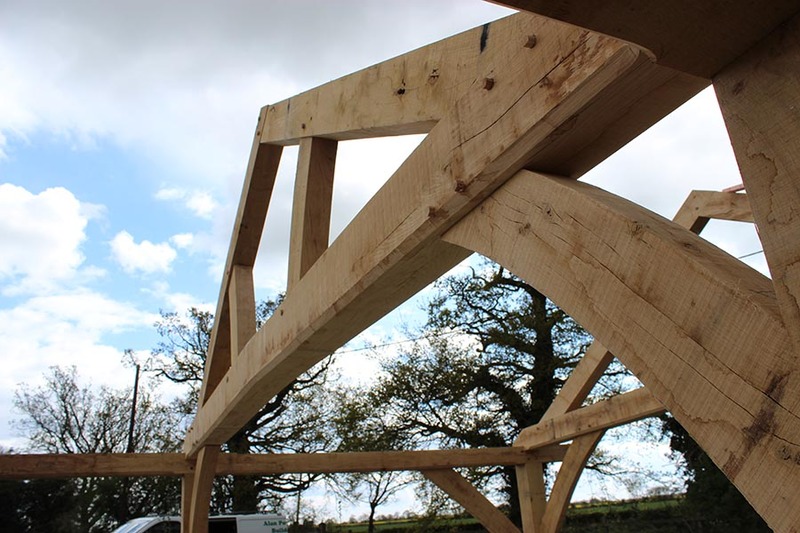 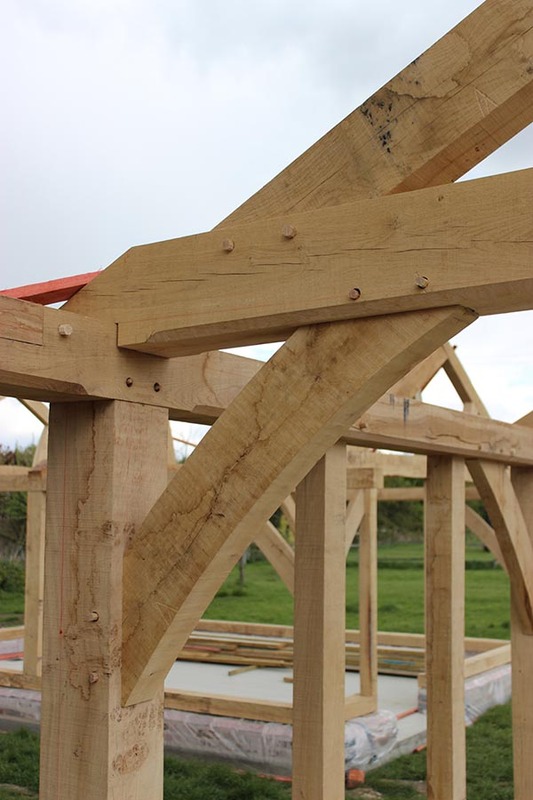 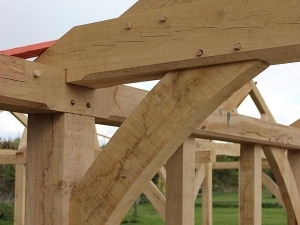 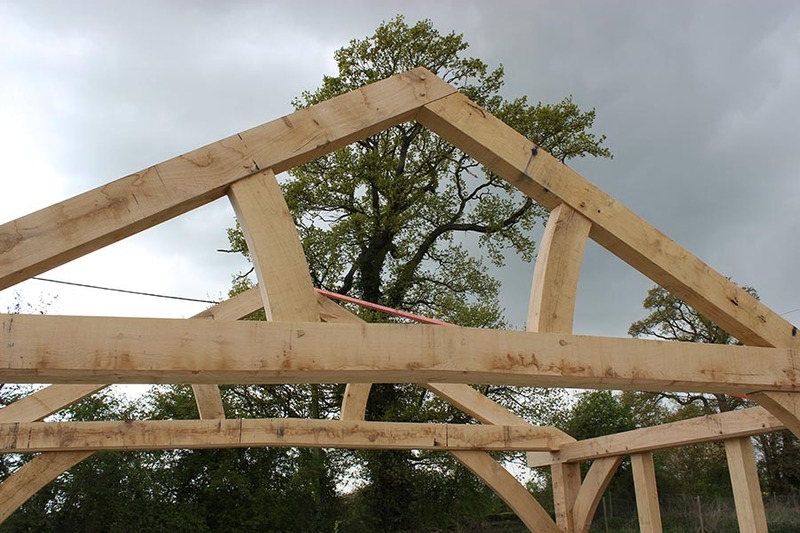 The main feature is the ‘cranked’ tie beam queen strut trusses. 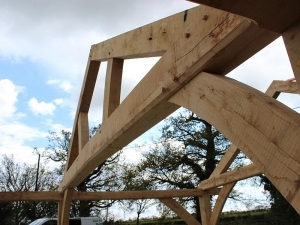 Both frames are have diagonally braced (curved of course!) 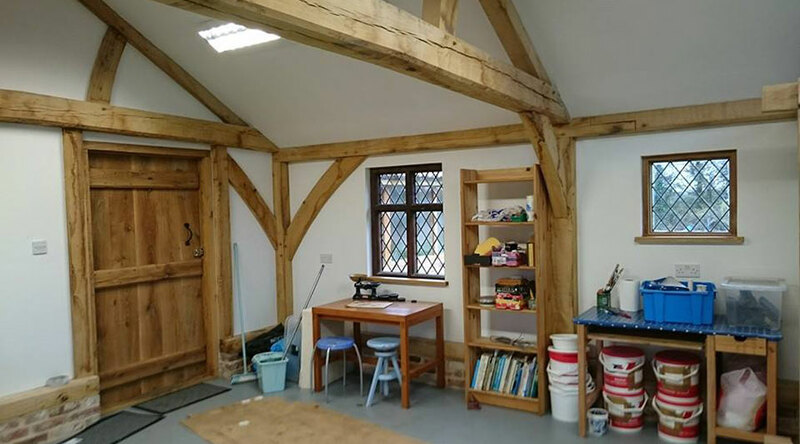 walls and cross frames. 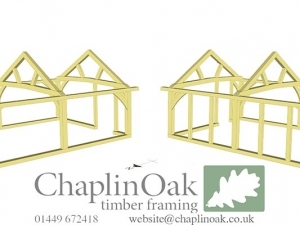 The lay-up process for these frames was very simple, as all the standard rules for framing were nicely adhered to. 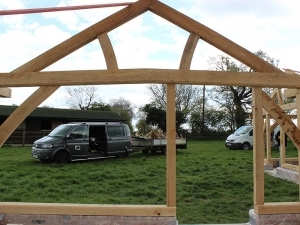 The following is one of the doorway gables completed at the workshop. 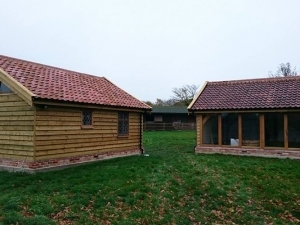 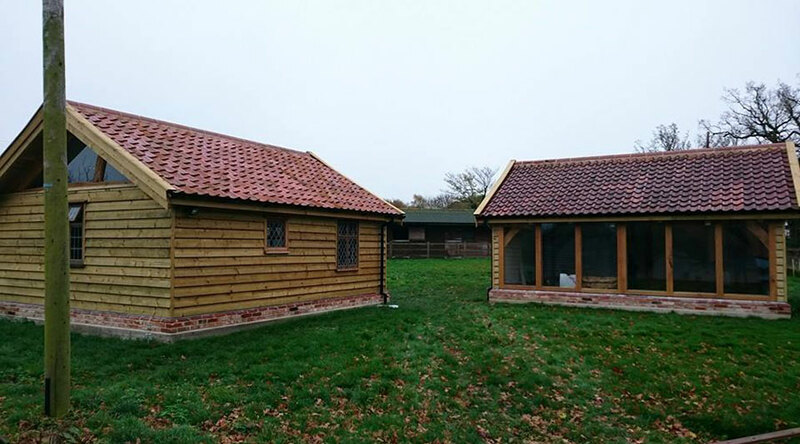 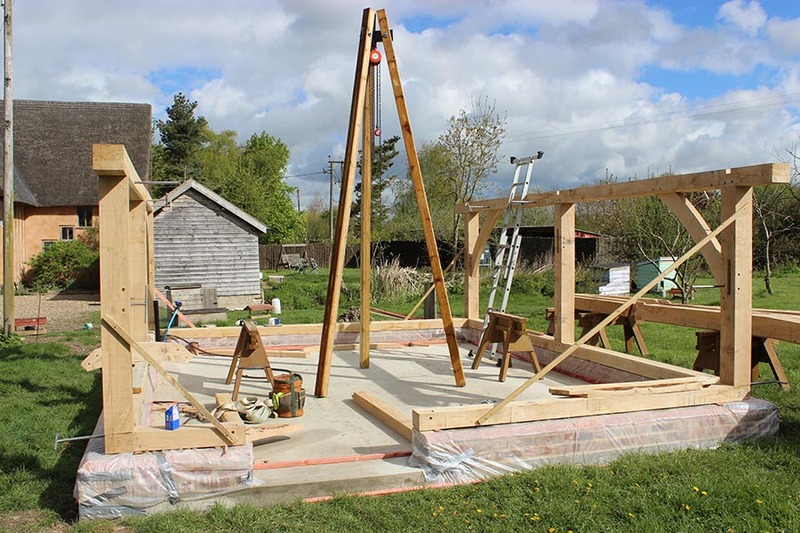 The footings were immaculately prepared by Alan Powley over in Diss. 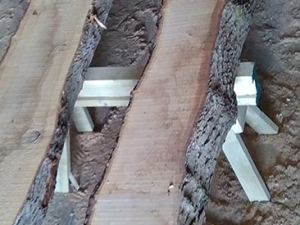 He even came and gave us a hand for the raising. 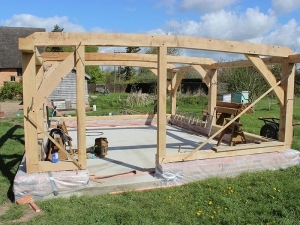 The following shows a the first wall frame going together, edge-halfed wall plate scarf’s and dovetails in the foreground. 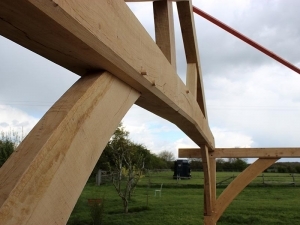 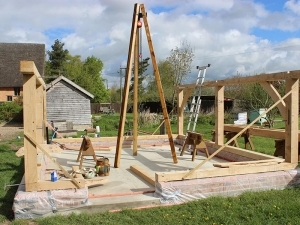 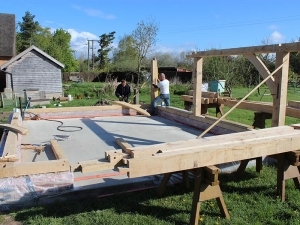 We used the trusty shear legs to lift the heavy tie beams up, then slid them into position by hand. 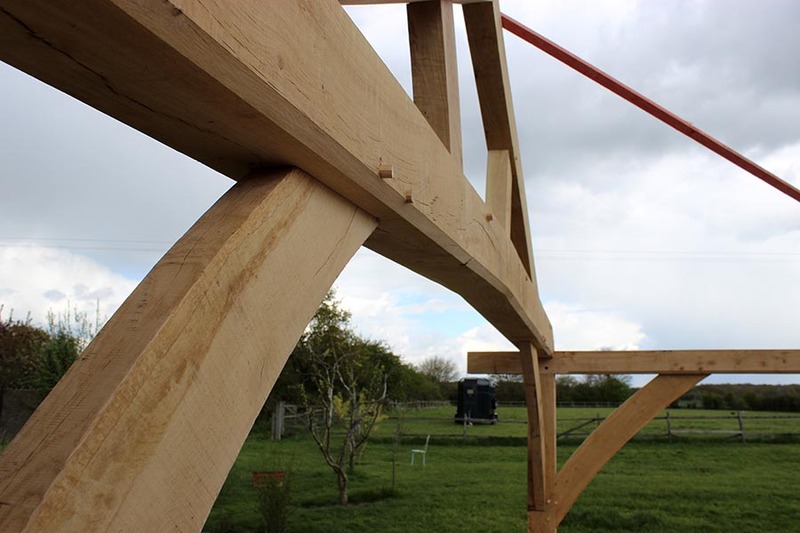 Not having cut a curved queen strut roof before, we thought we’d throw some in. 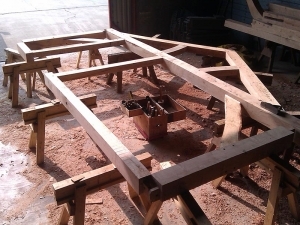 Plus extra thick braces for the central cross frames. 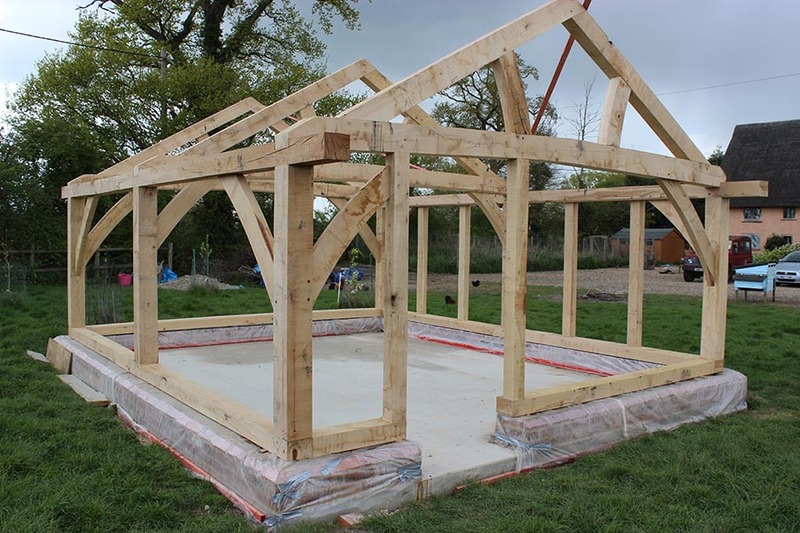 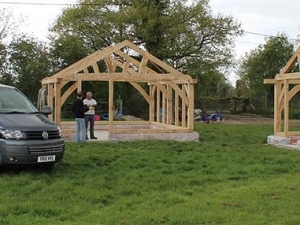 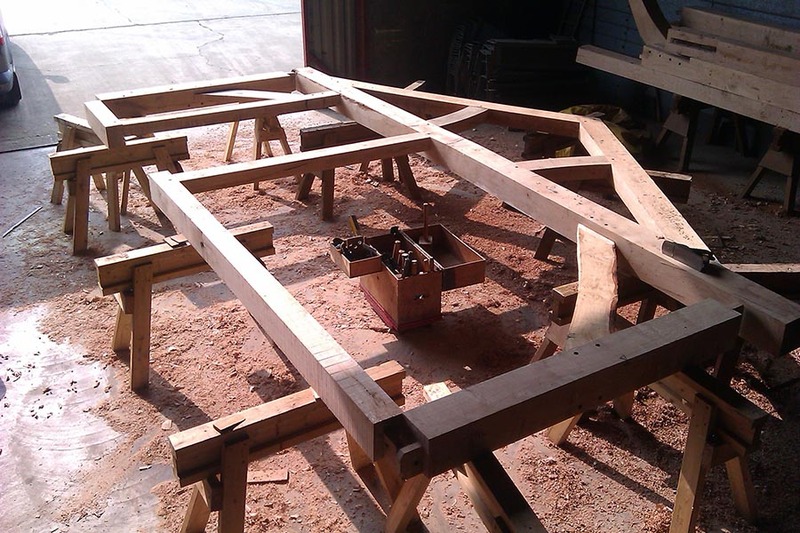 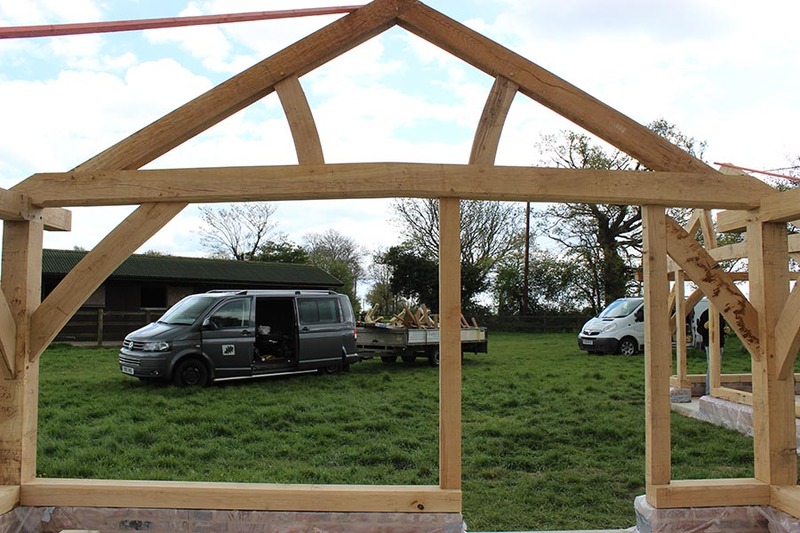 Received some pictures of the frames once completed….